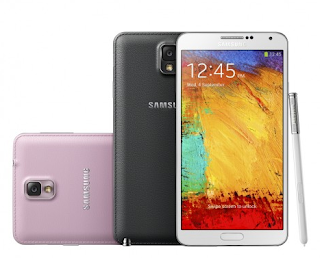 The Samsung Galaxy Note 3 is now official. After a few months of leaks and speculation Samsung showed off the Galaxy Note 3 at a special event to kick off IFA 2013 in Berlin today. The Samsung Galaxy Note 3 is a bit thinner and lighter than we thought with longer battery life in a compact package according to Samsung CEO JK Shin. After a dramatic unveiling Samsung showed off the new Samsung Galaxy Note 3 with a display of 5.7-inch with a 1920 x 1080 Full HD resolution, brand new S Pen features and a new design that is still partially plastic, but just an upgrade from the Samsung Galaxy Note 2. The Samsung Galaxy Note 3 is also joined by a new Samsung smartwatch called the Galaxy Gear, which could be a great accessory for the large screen smartphone.